After releasing about a hundred dashboards in the last couple of weeks, members of the product team I’m part of at the Government Digital Service each spent a week prototyping standalone projects that we thought would be of use to the Performance Platform. 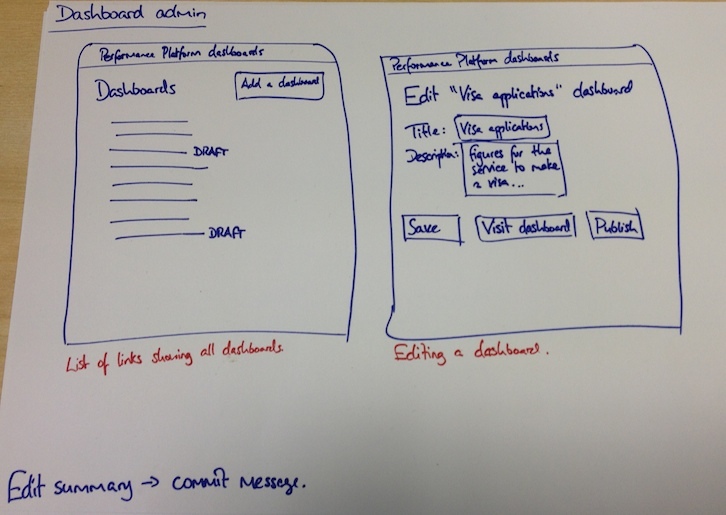 Tom and I created a basic interface for administering dashboards. We only had a week so we didn’t want to spend time thinking about where it would be hosted or how authentication could work, so we created a Node.js app that non-technical members of our team can download and run locally. We ended up with an application that uses a GitHub repository to store our configuration and does file modification, committing, pushing, pulling and deploying through a browser. It’s hacky but it does exactly what we need it to do. SSH handles authentication in the background and GitHub provides us with a lovely interface for a history of who, what and when things changed. Hopefully this marks the end of Matt having to write out text changes into Pivotal Tracker stories just to wait for a developer to copy and paste them into an editor and push a commit. I’m really happy with what we achieved in 5 days. 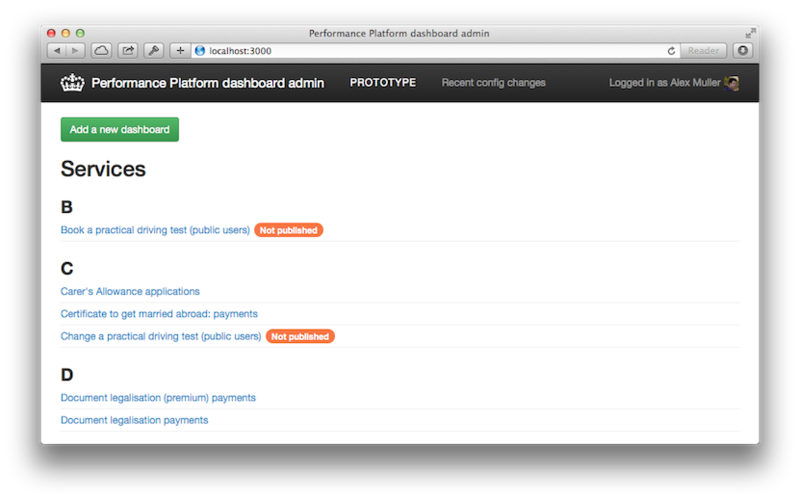 The Performance Platform dashboard admin app is on GitHub, as is the config repository. I’m looking forward to approaching this project slowly and carefully now that we’ve got a good idea of the direction it should go in.